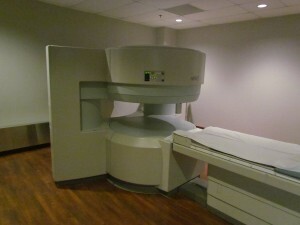 Diagnostic Imaging Services is a leading provider of diagnostic imaging in Wichita, Kansas. DIS provides a wide array of outpatient imaging services to meet the needs of our patients and their physicians. We hope you will find that we offer a relaxed environment created with your comfort in mind. Our center is staffed by highly trained, experienced technologists dedicated to providing you with a visit that is pleasant, relaxed and friendly. People often do not realize that they have an alternative to going to the hospital for an imaging examination. When you go to the hospital, you often have to find your way around a multi-story parking garage, hectic traffic, frantic environments, staircases, elevators, signs and painted lines! 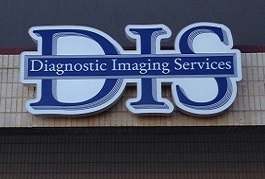 At Diagnostic Imaging SErvices, you park in our parking lot within a few feet of our front door. Simple. Easy. Convenient. DIS is located in the Brittany Center, at 2020 North Woodlawn Street in northeast Wichita, Kansas. Brittany Center is on the southeast corner of 21st Street North and Woodlawn Streets in Wichita. With this state of the art equipment, you and your medical team have the best technology at your disposal. Our hours are weekdays 8:00 a. – 5:00 p.m.
We are flexible in scheduling. Please call 816-452-4674 for information or visit www.diswichita.com.